During the early years of the Porfiriato (1873-1910), the old Mexican Empire capital experienced a process of urban improvements characterised by the ruling-class tastes of the time to imitate the forms of European capitals, especially Paris. This concern led to European trained architects arriving in the city, such as Adamo Boari, who had already worked in Chicago and New York. 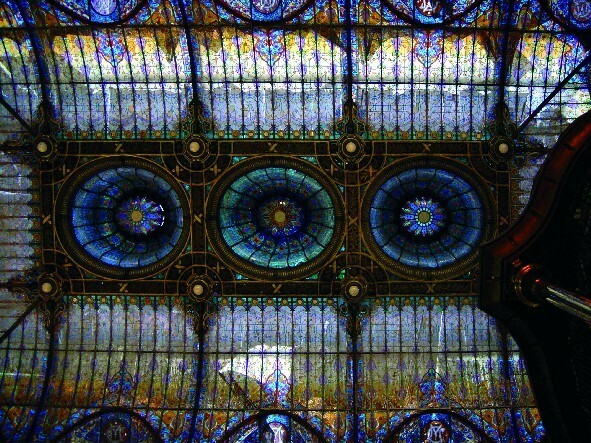 Boari designed the National Theatre (1904), which still contains the glass curtain built by Tiffany in New York, the theatre ceiling, the proscenium arch mosaic, the group of sculptures on the outside dome, which were made by Géza Maróti in Budapest, and the four Pegasus sculptures by the Catalan sculptor Agustí Querol. The building was completed in an Art Deco style by Federico Mariscal in 1934. The city was extended with the construction of colonias, or housing schemes, for the new middle- to upper-class inhabitants. 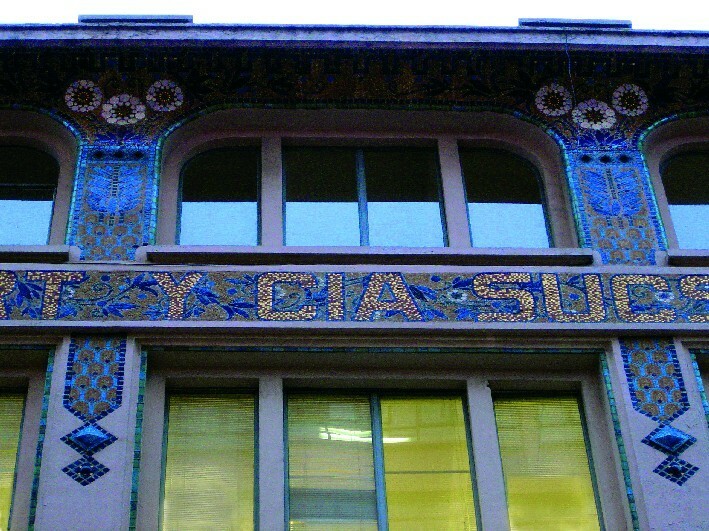 These included single-dwelling houses or apartment blocks that in many cases copied decorative Art Nouveau elements for their façades, with undulating borders for openings and stylised plant forms, highlights of which can be found in the Colonia Romana (Chihuahua, 78) and Colonia Juárez (Bucareli, 116). 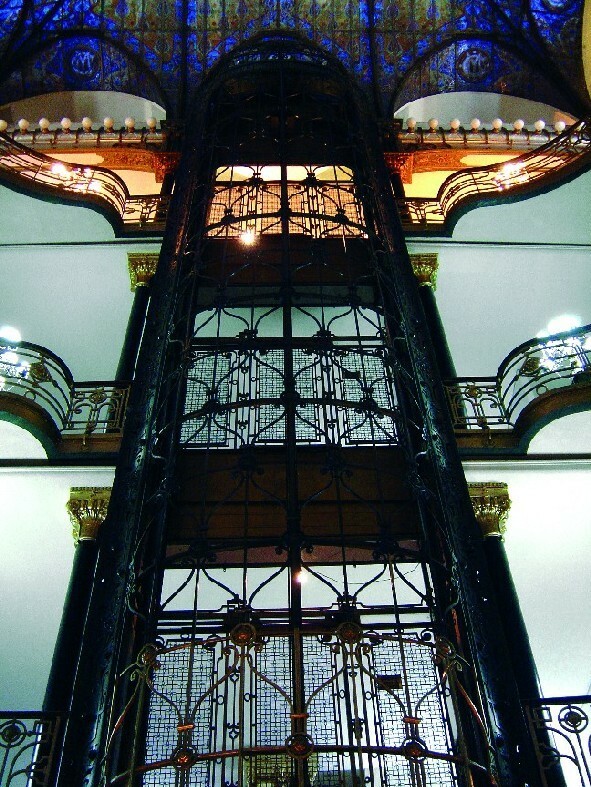 The Chopo Museum in the city is also a good example of iron architecture. The building was constructed in the German city of Oberhausen for the Düsseldorf Industrial Art Exhibition in 1902. It was bought by the Compañia Mexicana de Exposiciones Permanente and rebuilt by the Colonia de Santa Maria la Ribera under the direction of the engineers Bachmeister, Ruelas and Dömer. For a full picture of the spirit of Art Nouveau in Mexico, one must not forget the original furnishings of the Casa Requena, currently displayed in the Quinta Gameros Museum in Chihuahua. 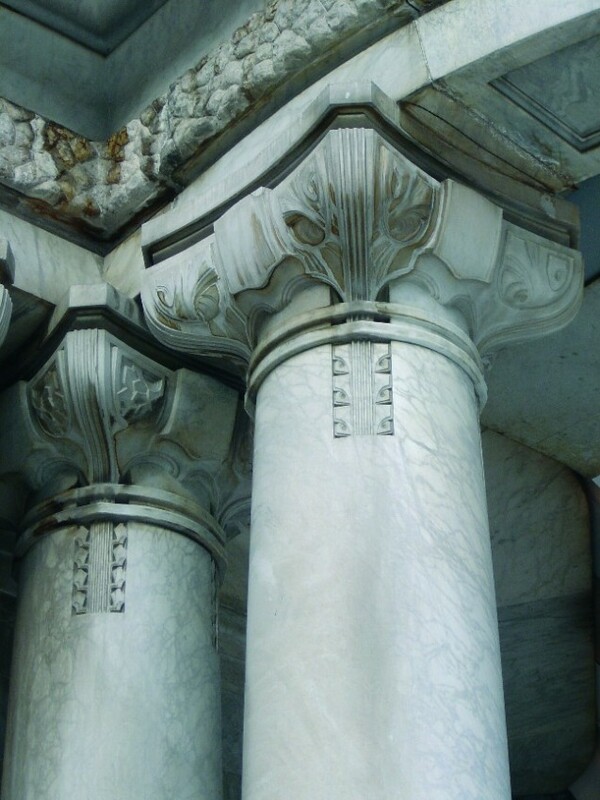 The furniture was designed by the lawyer José Luís Requena, aided by the Catalan artist Ramon P. Cantó, to furnish his home at Vera Cruz 43, which now no longer exists.